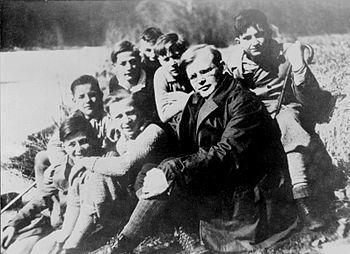 In honor of Deitrich Bonhoeffer, a German Lutheran pastor, theologian, and dissident anti-Nazi, who was hung by the Nazis at Flossenbürg Concentration Camp on this day in 1945. To be in the midst of your enemies. He lived that out. Very timely for today. Remembered at our midweek Holy Communion Service this morning.